Supplier of blackberries, blueberries, raspberries, and strawberries. Company profile, product information, and related links. A project management company which designs, implements and manages food safety programmes for organizations in the food and food-related industries. North Sydney, New South Wales, Australia. Industrial food broker serving California food processors and manufacturers with food ingredients. Specializes in flavor enhancers based on by-products from food processing, and on food extenders from various commodities. Portal for the food industry with online searchable directories of food ingredients, processors, equipment, and trade shows. Selling, installing and servicing food processing machinery to the red meat, poultry, fish and pet food industries. Improve food and beverage processing, food packaging, and food production by using H1 and H2 lubricating fluids and silicone based antifoams. Specializing in food manufacturing, food processing and food ingredient industries at the mid- to senior-level nationwide. Food product and quality systems development, food safety/HACCP, laboratory services and project management. Manufacturer of functional food starches. Site includes search facility allowing you to select starches for your food application by food type, by starch characteristic or by starch name. Food companies selling to supermarkets, gourmet food stores, wholesalers and restaurants, showing food wholesale buyers what is available by manufacturers and sellers worldwide. A partnership between food industry organizations and government agencies to provide a ÃƒÂ¢Ã¢â€šÂ¬Ã‹Å“one stop shopÃƒÂ¢Ã¢â€šÂ¬Ã¢â€žÂ¢ for food companies who want to grow their businesses. Western Canadian broker selling food, packaging, and sanitation products into the food service, grocery, and food processor segments. Principal and product listings. Offers a line of standard and custom blended batters, breadings and bread crumbs for food service, food manufacturers, and retail markets. Manufacturer of fresh refrigerated prepared foods for the food service and retail customer. Company profile, branded product details, food safety information, and contact links. A food brokerage firm, dedicated to the food service industry. Two locations, Oklahoma City and Tulsa, Oklahoma. A worldwide importer, manufacturer and distributor of specialty products for the snack food, health food, pet food and bakery industries. Designs, builds, and supplies bespoke food systems to the food processing industry. North Yorkshire, UK. List of tools supplied to food manufacturers to ensure food safety and food quality based on HACCP principles. Australian-based company. Online resources for the food and food processing industry. Includes sales and inventory management tools. Pest control companies with expertise in fumigation and food safety who work together to protect our worldÃƒÂ¢Ã¢â€šÂ¬Ã¢â€žÂ¢s food supply. FPA members are committed to providing environmentally-responsible, safe product application. Food safety and sanitation consultants to the food service and food processing industry. Manufactures stainless steel food service equipment,including, salad and hot food bars, cafeteria counters, food protecors and sanitation equipment. Located in Prince Frederick, Maryland. If the business hours of Oregon Berry Packing Company in may vary on holidays like Valentine’s Day, Washington’s Birthday, St. Patrick’s Day, Easter, Easter eve and Mother’s day. We display standard opening hours and price ranges in our profile site. We recommend to check out oregonberry.com for further information. 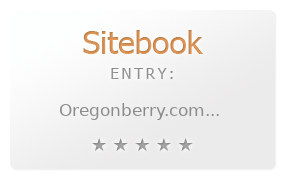 You can also search for Alternatives for oregonberry.com on our Review Site Sitebook.org All trademarks are the property of their respective owners. If we should delete this entry, please send us a short E-Mail.